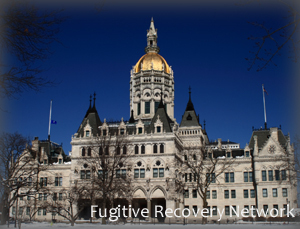 Below is basic information on bail bond laws for Connecticut concerning Bail Enforcement, Bounty Hunters, Fugitive Apprehension and Bail Bondsman. This is not legal advice. Laws change frequently, please check the links provided for possible updates and current information. Connecticut General Statutes Annotated Title 29. Public Safety And State Police Chapter 533a. Bail Enforcement Agents. connecticut General Statutes Annotated Title 54. Criminal Procedure Chapter 960. Information, Procedure And Bail. connecticut General Statutes Annotated Title 29. Public Safety And State Police Chapter 533. Professional Bondsmen. Connecticut Statutes provide for the recovery of persons failing to appear on bonds by those licensed as “professional bondsmen,” “surety bail bond agents” and “bail enforcement agents.” Therefore, while some of the licensing requirements are similar, the licensing provisions for all three positions are given below. As described in the Connecticut statutes, the role of “bail enforcement agent” seems most akin to that of a bounty hunter, while the other two seem more similar to sureties. * Throughout the sections below, “Commissioner” means the Insurance Commissioner of Public Safety. (6) the licensee is unsuitable. The suspension or revocation of, or the refusal to renew, any bail enforcement agent’s license shall also constitute the revocation of the bail enforcement agent’s firearms permit issued pursuant to section 29-152m. Any bail enforcement agent who fails to surrender such license within five days of notification in writing of the suspension or revocation of, or refusal to renew, such license shall be guilty of a class C misdemeanor. Any party aggrieved by an order of the commissioner under this section may appeal therefrom in accordance with the provisions of section 4- 183, except venue for such appeal shall be in the judicial district of Hartford. Any person who makes a business of furnishing bail in criminal cases or who furnishes bail in five or more criminal cases in any one year, whether for compensation or otherwise, shall be deemed a professional bondsman and shall be subject to the provisions of this chapter. Any resident elector of the state of Connecticut who is of good moral character and of sound financial responsibility may, upon obtaining a license therefore in accordance with the provisions of this chapter, engage in the business of professional bondsman within this state. Connecticut bail agent’s arrest authority. At this time, there appear to be no specific regulations for “Bounty Hunters” in the Connecticut statutes. Please check with the Connecticut’s Department of Insurance, Licensing Board and/or Local Law Enforcement for the most recent updates. If you know of any updates to Connecticut’s bail bond laws, please provide as much detail as possible and send to us using our contact form.